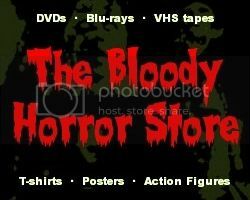 Dr Blood's Video Vault: Sad day. One of my fans died. Sad day. One of my fans died. Today I lost a very dear friend to me. In spite of a valiant effort to remove the chill from my office space this morning, my little CZ40 fan heater finally burnt out. My CZ40's birthday was in September 2008 according to the manufacturer's label. I'm not sure how long $10 fan heaters are supposed to last, but I got a lot of use out of the little bugger. We've survived terrible winters in two apartments and my current pigsty of a house, but, alas, there will be no more cosy times watching horror movies together. I took my CZ40 apart and cleaned it out (with a paintbrush and a can of compressed air) in an attempt to revive it, but now it just smells like burning plastic and switches off again after less than a minute. It's horrible. I'm almost beside myself with grief. 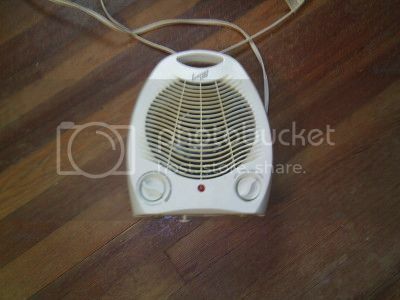 I loved my little fan heater. Although the tragedy is hard to bear, I suppose I'll just have to go to Big Lots or Family Dollar and get another one later.